All items are shipped using either registered post or independent courier company such as GLS, depending on weight and value of the parcel. Parcels are dispatched the same day when ordered before 1.00 p.m. or the next day when ordered after 1.00 p.m. Delivery is the next working day. However the Pro-Nutrition Ltd doesn’t take the responsibility for any delays, lost or damages during shipment. When not delivered in the next 2 days after order was placed please contact us via e-mail: info@supplementoutlet.ie to track the parcel number and attempt to deliver again. If we are unable to dispatch the order because we are out of stock ordered product or flavour we will contact you if we can change the flavour or replace the product by another. Shipping cost is €4.95, on orders under €50, and free of charge on order over €50. Purchased items are delivered to indicated address when placing an order. The Pro-Nutrition Ltd reserves the right to refuse order realization. Incorrect delivery information as stated by the customer is the responsibility of the customer, who will be charged €9.99 if we make a collection on their behalf. PLEASE NOTE: WE DO NOT SHIP GOODS TO ANYWHERE OTHER THAN IRELAND! Risk of loss and title for such items pass to customer upon our delivery to the carrier. The Pro-Nutrition Ltd doesn’t take any responsibility and any damage or lost made during carriage. otherwise we can not give a refund. 2. 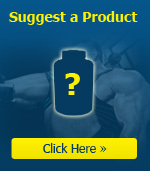 Customer MUST email info@supplementoutlet.ie , prior to returning any products, giving a reason for the return. 3. A credit will be given your credit card. 4. No refunds will be given if the above conditions are not met.